The blade on this sword was hand forged from 1095 carbon steel + iron + 1075 carbon steel, with 1000 + layers, it has a beautiful Damascus pattern, and is razor sharp and has a full tang. The handle is hardwood and the fittings are highly detailed and sculpted brass. 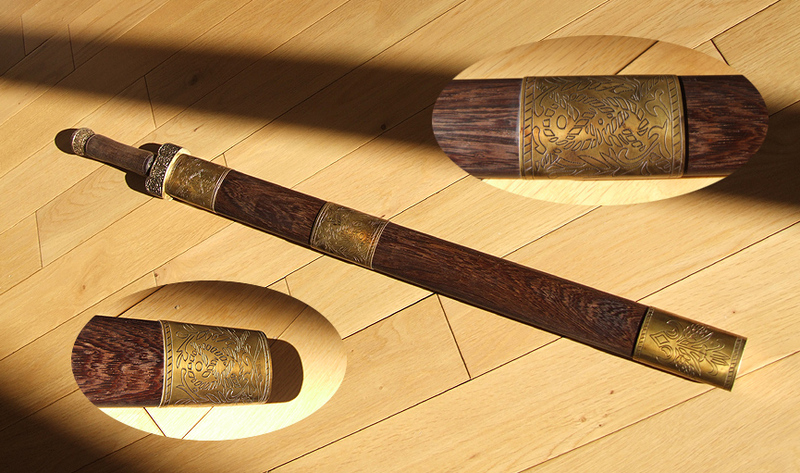 The scabbard is hardwood with decorated brass fittings. 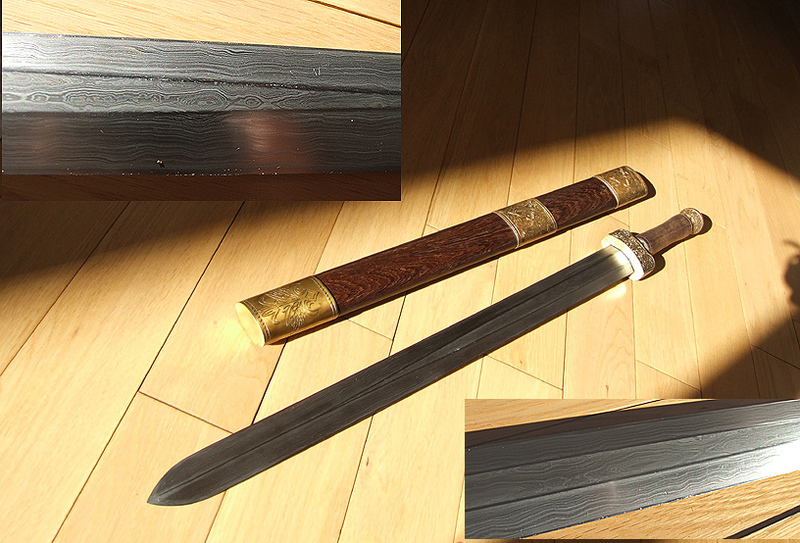 Shipping over seas: I will bare no responsibility for customs seizing your sword. Know the laws of your own country.